If you are looking for the right answer to the question as to how VRV or Variable Refrigerant Volume air conditioners could be useful, then the next few lines could be interesting and informative. When buying air conditioners, we keep in mind quite a few things. Amongst them initial cost of purchase is perhaps the most important consideration. However, we must also keep other things in mind such as the recurring energy costs, durability, longevity and other factors and attributes. It would also be pertinent to mention here that the look and feel of the air conditioning unit when it is set up in the home or workplace is also an important consideration when it is being purchased. 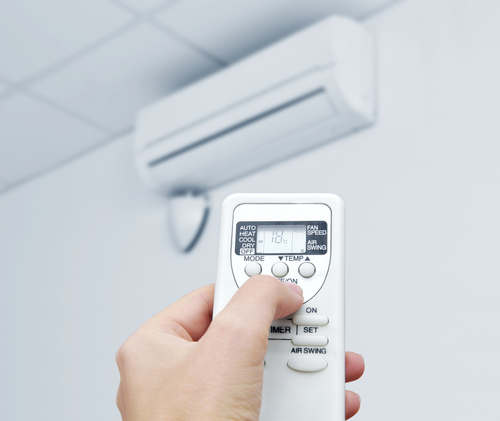 In this article we will try and have a look at the reason why there is a growing demand for VRV system designed air conditioners. We will also try to find some answers to the question how to plan your VRV system design. The VRV system design is relatively new technology and therefore not many people might be aware of it. However, when it comes to complete, cost effective and great looking designs and air conditioning solutions, there are reasons to believe that going in for VRC would be a good option. However, it is important to have some basic idea about these designs and systems and only then should one move forward. Over the next few lines we will try and have a look at the various things to be kept in mind when it comes to planning the best VRV system design. Though VRV is a proven technology and is known for its efficiency and versatility, before going in for this method of air conditioning, you must have the right design plan available with you. To begin with it is ideal to opt for ductless air conditioning design features. Secondly, you must also be aware that these VRV air conditioners come in different capacities. There are a few which are designed for commercial purposes and there are others which are specifically suited for residential spaces. There are also single room VRV solutions suitable for small room sizes of around 200 to 300 square feet. Hence the first starting point is to have a clear idea about the area that is planned to be covered using these air conditioning designing systems. You have to bear in mind that these air conditioning systems are expensive and therefore they should be suitable and sustainable from the long term point of view. They do help a lot in saving on electricity and energy consumption because of their inbuilt features. They do come with inverters and outdoor units having dual compressor units. Hence when going in for design features, you should be sure that it provides constant cycling and offer the best of load matching capabilities even when there are wild swings in voltages. The temperature fluctuations outside might be very unpredictable and could oscillate from one extreme to the other in countries like Singapore. Hence when going in for the VRV system design, this factors should also be taken into account. An air conditioner apart from protecting the inmates from too much of heat and cold also plays a big role in adding style and sophistication to the room. It gives a special look and ambience. Therefore this aspect should be kept in mind when it comes to coming out with the design features for your VRV system. The walls should be built differently and the air conditioning system should match with the overall color scheme of the room. When we talk about VRV systems, we usually refer to two major types. They are pump systems with pump heat facility and pipe heat recovery type. 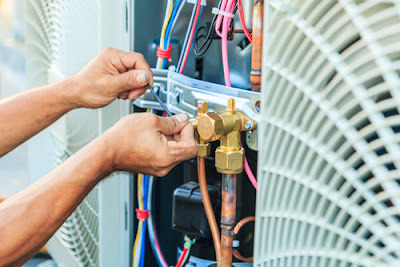 While both can perform the function of heating and cooling, the former can do only one at a time. On the other hand the latter will be able to perform both the tasks simultaneously. In other words it can regulate different temperatures in different rooms and closed places keeping in mind specific needs and requirements. Hence, when going in for system design for VRV units this point must always be kept in mind. 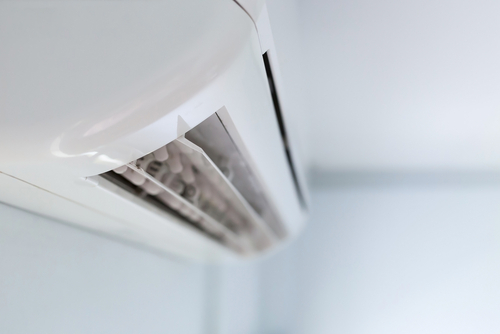 One of the major differences between conventional air conditioning units and VRV units is the number of condensing units, including evaporators and compressors. However, when you decide to go in for a VRV unit, you can have one conduction unit which can be connected to many numbers of evaporators. Each of these evaporators can be controlled individually. Hence, this is a very important aspect to be kept in mind when it comes to choosing the right design for your VRV system. At the end of the day there is hardly any doubt that VRC is a recent technology and it is also quite complex and complicates. As end users it might not be possible for us to find out the right design structures which are needed to get the maximum benefit out of it. Under the above circumstances, the best way forward would be to take the help or professionals engineers and architects before you install these systems. It would be always advisable to seek their counsel and advice before even designing or constructing the room or space where the air conditioning units will be sitting. This will help you to get the best out of it in terms of performance, energy efficiency, longevity, durability and finally the best value for money. At the end of the day there is hardly any doubt that VRV is going to be future as far as air conditioning technology is concerned. We might have homes where different members of the family would like to have different heating and cooling systems. In such an eventuality the best of VRV designing systems with the best of cooling and heating systems would certainly make a big difference. It is all about gathering the right information and knowledge and then moving forward based on what the experts have to say.